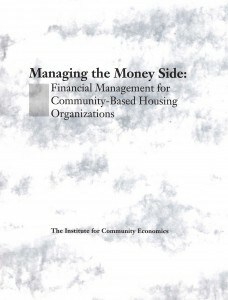 For CLTs and other community-based housing organizations, Managing the Money Side identifies the types of financial problems that can overwhelm an organization without an adequate accounting system. The manual then leads readers through the process of developing sound budgeting, accounting and reporting systems. Written by our former technical assistance director and board member Kirby White, and funded by Metropolitan Life Foundation.